Silver Sage Sports & Fitness Lab is distinguished by knowledgeable and experienced staff, comprehensive integration of services and US Olympic Training Center-caliber testing and motion analysis equipment. Our foundation of science-based education and athletic experience coupled with our state-of-the-art testing and biomechanical equipment, culminates in an unparalleled comprehensive integration of services. We provide the tools and guidance to help each individual continue to improve and achieve their specific goals. With science and experience, we remove the guess work and maximize the training investment. The Silver Sage Sports & Fitness Lab staff extends unparalleled knowledge and experience. 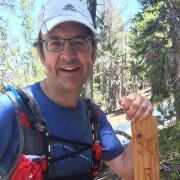 Dr. Andy Pasternak, MD delivers medical expertise and guidance, and as an avid athlete himself and acting medical director of the Tahoe Rim Endurance Trail Races, understands the practical application of science in athletics. Dr. Pasternak is a pro member of the Medicine of Cycling Society. Our Director, Michelle Faurot, brings years of business experience, elite level athletic competition, and coaching certifications to help clients achieve their goals. Bike Fit Technician Jonnie Diederich holds bicycle fitting certifications from Serotta International Cycling Institute (SICI), Specialized Body Geometry, and Trek Fit Services. 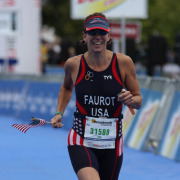 Michelle Faurot is a certified USA Triathlon coach, U.S. Masters Swimming Level 2 coach and League Cycling Instructor (LCI). Endurance sports and the communities surrounding them have been a part of Michelle’s life since she was little. Competition has been both motivation and a way to share experiences with other athletes. In 2015, Michelle and her all female team, Bike Like a Girl, set a new transcontinental record in the Race Across America (RAAM). With so much time in the saddle, she raced at USA Cycling Masters Road Nationals and earned multiple podium finishes over the next two years. Swimming was Michelle’s first sport and she still trains with the Sierra Nevada Masters. She has competed at Masters Nationals several times with multiple top ten finishes. Triathlon combines the sports Michelle loves, and she is an accomplished Olympic distance athlete, having qualified and competed for Team USA at the ITU World Masters Age Group competition several times. She’s raced distances from from sprint to Ironman. She has won the women’s overall spot in at the Pyramid Lake Triathlon for the last two years. Along the way, she spent 25 years in business development at U.S.News and World Report and Newsweek, executive producing documentaries and developing strategic partnerships. Michelle and her husband moved to Reno from the East Coast several years ago, and couldn’t be happier with the outdoor lifestyle they found here in the Great Basin and Lake Tahoe area. Dr. Andrew Pasternak is a board certified family physician with an interest in sports medicine. While an avid fan of teams around Detroit while growing up, physical fitness was not foremost on his mind. Dr. Pasternak began to realize that he needed to get into shape after tearing his anterior cruciate ligament in medical school. In his first 5 K, he had to walk most of the last mile just to finish. Later, along with his wife, he finished dead last in the Wisconsin State Games winter quadrathelon (but we finished). Since moving to Reno, he has become more serious about exercise and has now finished the Death Ride, is an avid xc skier, and has run the Boston Marathon with his wife. By incorporating exercise into his regular lifestyle, he has come to personally realize both the physical and mental benefits exercise can provide. 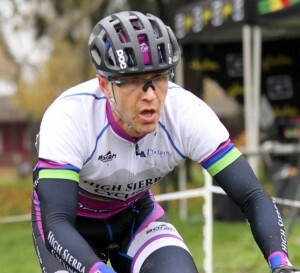 Jonnie Diederich hails from Madison, WI and is an avid cyclocross racer. He has studied with and worked for some of the top bike fitters in the U.S. He holds bicycle fitting certifications from Serotta International Cycling Institute (SICI), Specialized Body Geometry, and Trek Fit Services. He is also proficient at analyzing movement imbalance, and holds both a Functional Movement Screen (FMS) certification and a Selective Functional Movement Assessment (SFMA – Level 2) certification. He has worked in the cycling industry for the past 20+ years, as a fitter, shop manager, inside sales rep and shop salesperson. He enjoys all types of cycling, from casual rides with his dad on the local bike trail, to Cat 3 criterium road and cyclocross racing. His interests in anatomy, physiology and injury rehabilitation and prevention led him to pursue a related career as a Physical Therapist Assistant (PTA). In addition to doing bike fitting for Silver Sage Sports and Fitness, Jonnie works with clients at a local PT clinic.